Wirelessly charge your Qi-enabled device in-car with this wireless charging car holder. 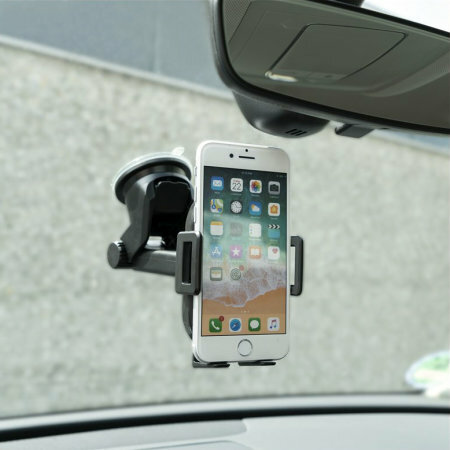 With it's proximity sensor and automatic mounting, this car holder by 4smarts will hold your device in position on your car dashboard or windscreen. Very good car charger and works fine, except it doesn't fast charge. But i got good response from Mobile Fun and also a replacement which was a better charger from the one I got first time. 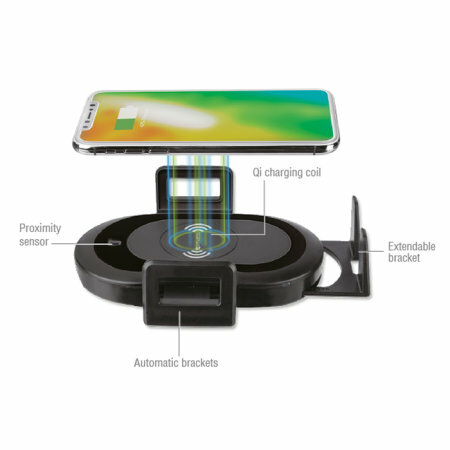 Simply place your smartphone within the holder and watch as it begins charging without having to connect any wires to the phone. 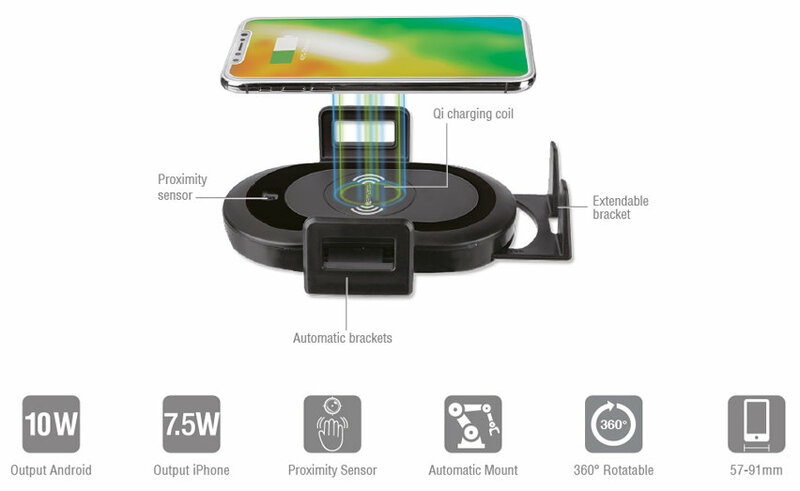 This wireless charger is capable of fast charging any device, providing up to 10W for Android phones and up to 7.5W for Apple iPhone's. The powerful suction cup attaches without issue to a wide variety of in-car dashboard or windscreen shapes and sizes. Alternatively, the 4smarts VoltBeam Sensor features a changeable mounting system, allowing you to even mount this holder using your car's air vents. With an intuitive design, this wireless charging holder makes attaching and removing your phone a quick and easy process. 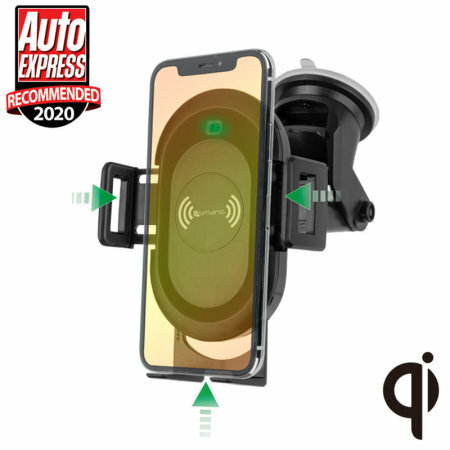 The 4smarts car holder has been designed with motor driven brackets and a proximity sensor, allowing the holder to open and close automatically. The adjustable design of the 4smarts VoltBeam Sensor allows you to position your handset on your car's windscreen in either vertical or horizontal positions for a more comfortable view of your handset while driving. This 4smarts car holder is universal and can hold smartphones with a body width of 57 to 91mm.